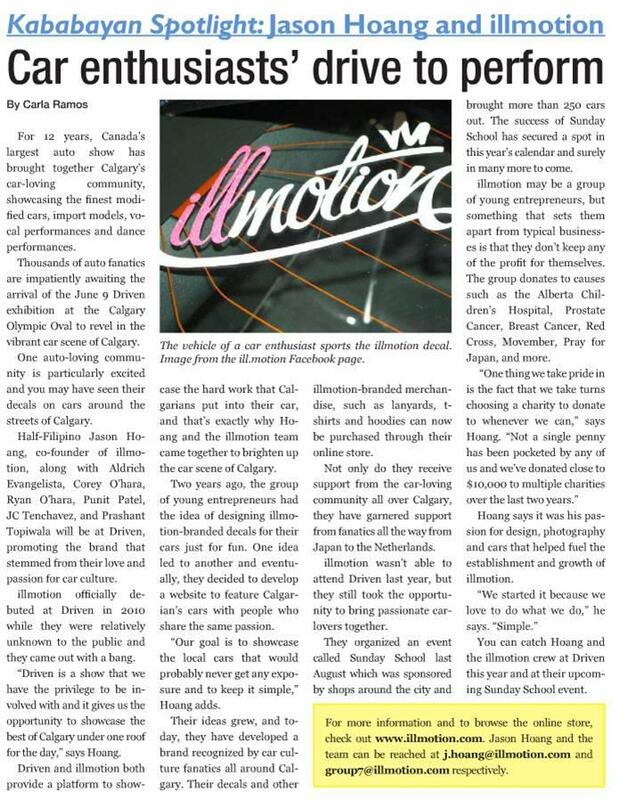 Just wanted to give a quick shout out to Carla for doing this interview and write up on myself and illmotion regarding what we do, Driven that’s coming up this Saturday, and all the other fancy schmancy things that kind of go on in our lives. It’s in a local Filipino newspaper and it’s available online at Mabuhay Calgary if you’re interested in looking at it. But here’s the cut out.